The digestive system is very important for our overall health. This is why, easy to digest foods, no doubt are very necessary when our digestive system gets rest and works properly. If our digestive systems go well, we can survive for a long time. We know that some foods are bad for health. Because the digestive rate is very poor and thus the food items get dissolved slowly. The following foods are very digestive and healthful for everyone. This is a type of dairy product. We know that a dairy product can cause our stomach upset if it combines lactose sensitivity. But it digestible and offers most benefits that is rarely in other foods. However, you can go with the two types of yogurt-regular and Greek. The Greek Yogurt is turned into a regular and removed the whey from it. When it is changed into a regular yogurt, then it becomes a bit thicker and smells differently. The yogurt is also a rich source of protein and calcium. This is why, it helps digesting the any kind of foods we take to survive. It is a type of fermented cabbage and very easy to digest even for kids. It works like a tonic that helps other hard foods to digest in our daily meals. The bacteria is most effective in our digestive system. So, sauerkraut is kind of lactic acid that supplies bacteria can digest foods easily that we eat periodically to live on. However, the healthy supply of bacteria comes from sauerkraut. It is good to take as regular basis. There are several types of sauerkraut and each of them is very helpful to digest our foods. It is made of green cabbage. This a Korean item and works well to digest our foods well. its presence in most Korean cuisine gives a cultural flavor and thus it is most important for the Korean people. This fermented stuff is very spy and so, it is very effective to digest our meals we eat. The making of Kimchi is not so easy. It takes almost a month to process traditionally. To ensure the proper fermentation, there are some special types of refrigerators that keep the Kimchi stable in it. The soft item is easily acceptable to the digestive system. The lean proteins are always easy to digest. So, you can take lean beef, lean pork, lean turkey etc. Because these types of meals contain proteins, minerals and vitamins that are very healthful for our health as well as digestive system. We know that the chicken breasts are easy to digest foods and keep a highest amount of protein in it. But it does not contain any fiber. So, this can be your ideal foods that is very digestible and healthful. However, there is a healthy list of easy to digest foods online. I have just discussed with some of them. 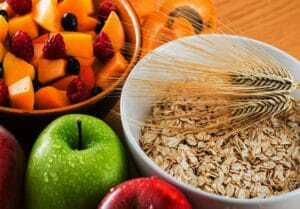 Otherwise, you can go through for more digestible foods such as brown rice, salmon, bananas, oatmeal, eggs and avocado. NextOMG! The Best Times that need to digest foods Ever!